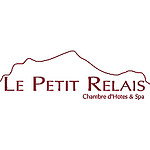 Conveniently located just a short distance from both the ski resorts of La Thuile and the relaxing environs of the Pré Saint Didier Spa, Les Montagnards is a small mountain hotel that offers a heady combination of tradition, beautiful surroundings and the unrivalled comfort of a modern boutique hotel. Prepare for impeccable hospitality with a distinctive flavour, and enchanting views of Mont Blanc and the Grivola, all just a short walk from the centre of Morgex. Maison Chante Lune stands out for the attention to details and the search for the mood of other times. The result of the renovation and restoration of a 19th-century house, barn and other adjoining buildings, Maison Chante Lune is located in the ancient village of Villes Dessus (Introd). It offers five apartments, two bedrooms and two service areas (laundry and ski storage) welcoming guests with charm. La famiglia The Chabod family opened its own home reserving four comfortable rooms featuring a red door for its guests. 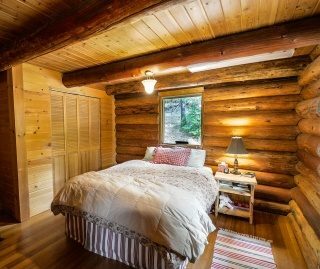 The rooms are furnished with care and wood reigns, in the classic mountain style. There is also a wellness room where you can enjoy a relaxing moment. Dogs of all sizes are welcome at Maison Chabod. Vieilles Maisons d’Introd can offer warm and cosy flats located in old buildings renovated with care. The flats are furnished in the typical style of the Aosta Valley, with wood and stone as key elements. The heating uses renewable sources of energy. There is also a garden where guests can relax, enjoy the quiet and the beautiful views of the surrounding mountains. The Pietra Felice is a welcoming guesthouse, where to stay for vacation and relaxation, group activities, study and work. It is located in Introd, a small mountain village, close to the Gran Paradiso National Park, and in one of the most affluent areas of natural beauty, history, culture and culinary traditions of the entire Aosta Valley. The guesthouse features six double rooms, all with private bathrooms; a communal room technologically equipped and private parking. Breakfasts, snacks and dinners for guests are made with local, traditional and seasonal products. Winery and farm, Lo Triolet is located in Introd, in a quiet area 5 km from the border of the Gran Paradiso National Park, at the mouth of the Rhêmes and Valsavarenche Valleys. It is an ideal location for those who want to discover the beauties of the Valley during their stay. The guesthouse has 2 apartments with 2 and 4 beds in an old stone house recently restored. Near the house, there is a terrace with barbeque and a green area. Il fienile della Nonna lies in the historical centre of Introd, in the Aosta Valley. It is strategically located for sightseeing or sports activities, ski lifts and services. An old building dating back to 1742, consisting of barns, stables, cellars and houses, has been renovated with a careful restoration project aimed at recovering Alpine architecture both through the use of materials such as old wood and natural stone and in furnishings and structures. Guests at Il fienile della Nonna have at their disposal areas for entertainment, gym and laundry free of charge. “Stazione” because it is a place where to rest and meet people. “Dell’acqua” because it is located in the municipality of Introd (“entre-eaux”, between the waters) at the confluence of two streams and because it used to be as a service building for a small hydroelectric reservoir. Once the home of the keepers of the nearby lake, this 1923 building has been carefully restored and is now an elegant and peaceful bed & breakfast with six comfortable rooms. A perfect place to get away from the noise, the crowd and to approach the scents and sounds of nature, spending time with good reads, good conversation and discreet but intense encounters. A family home, and before that a convent, thanks to a complete renovation has become a charming Chambres d’Hôtes with a warm and welcoming ambience, where you can enjoy relaxing moments. Six rooms full of atmosphere and attention to detail as well as tasty and hearty breakfasts offer guests a comfortable stay. The renovation has taken into account the environment not only in the choice of materials but also in the adoption of energy-efficient systems and technologies. 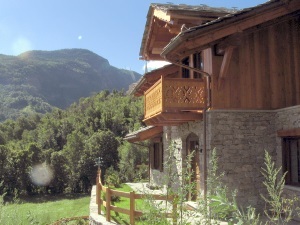 Located in the municipality of Introd at the entrance of the Gran Paradiso National Park, Le Renard d’Introd is surrounded by fields and woods and offers a magnificent view over the valley and the surrounding mountains. It is ideally located to easily reach some of the main points of interest of the middle-upper Valley. The rooms are cosy and decorated with natural materials and have direct access to the large terrace. Guests can also receive information about slopes or hiking, advice on what to do or where to go, and updates about weather forecasts. Built in the 60 ‘s the building that houses the bed & breakfast is different from the typical buildings of the Aosta Valley. The recent restoration has retained this peculiarity. BiancoSpino offers its guests three spacious rooms, a comfortable breakfast room, a garden and a portico where they can have breakfast on sunny days or read and relax. 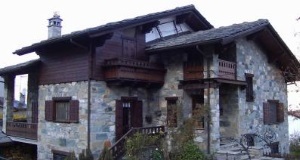 The old farmhouse of the B&B Gran Paradiso is located in the historic centre of Pompiod (Jovencan), at the entrance of the Gran Paradiso National Park. The farmhouse has been restored by the owners, who have painstakingly recovered wood, walls and original furniture of the building, creating a warm and welcoming Alpine environment. The B&B has three rooms with private bathroom, a breakfast room, parking and a private garden. 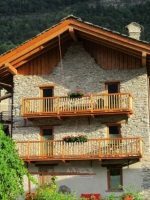 A stone house in the typical mountain style, surrounded by a beautiful garden, a few steps from the castle of Fenis and at 10 minutes from Aosta. Rifugio Arp is situated on a large grassy terrace at 2,446 m altitude in the Valley of Palasinaz, surrounded by numerous Alpine lakes, dozens of well-marked trails and peaks that reach 3,000 m.
The structure, which is entirely made of stone, has a large solarium, a dining area and a very cosy bar area where numerous objects of alpine tradition are on display. It is within an hour and a half of walk or mountain biking from Estoul, crossing pastures and woods. With six rooms, all different, the Petit Relais offers guests a friendly and welcoming ambience, the result of the combination of ancient architecture and modern comforts. The restaurant offers genuine local foods cooked according to the Aosta Valley tradition: it is the ideal place to enjoy typical local specialities in a relaxing environment. For the wellbeing for body and mind, the Relais also has an indoor spa.